Why Timmy’s Tennis Shop Won’t Rank For ‘Gloves’. I hear it all the time, “I want to rank for _____.” My initial response is that this is great because it means that you are thinking about ways to extend your reach or product offering. In our example, Timmy wants to rank for gloves, but unfortunately Timmy doesn’t stand a chance of ranking well for this key phrase. At least not until we've made some changes. We’ll get to those in a second, but first let’s examine if this is even ranking at the top of search engines for such a broad term is even worth the effort!? It is important first to make sure that you are choosing your keywords carefully. 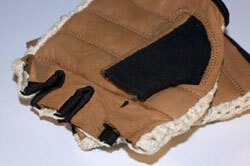 A broad keyword like “gloves” could be quite competitive and will fetch you an untargeted visitor. Think about all the different companies competing for this keyword. We’ve got baseball gloves, ladies leather gloves and possibly even gloves glued together to create some form of weird art for sale – who knows? If Timmy wants to rank for gloves he should be picking more specific key words and phrases to shoot for phrases like 'tennis glove sales', 'buy tennis gloves' and even better 'Toronto tennis glove sales'. That is called 'chasing the long tail'! This will get you a visitor that is more likely to convert – something we like. For argument sake, let’s assume that Timmy has correctly figured out the long tail keywords he wants to rank for. Guess what? He’s still not going to rank! So, why won’t he rank high in search engines? The answer is simple. No content = No ranking. 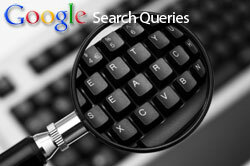 Search engines are out there to provide us with relevant answers to our search queries. To do this, they look at the content of websites all across the world and decide which have the most relevant information for our search terms. Because of this, they CRAVE content. If there is only one reference to tennis gloves throughout the website, the search engine has no reason to rank it above another, more content rich source. So, our friend Timmy needs to get writing. He should be writing, or having someone else professionally write, as many pages as possible about tennis gloves. These pages should be accessible from other pages on the website and should be included in his xml sitemap. When the search engines crawl through his website, they find links to the tennis glove pages and follow them. Here, they will find pages with proper Meta and other SEO tags in the code which is different from that on any other page. This SEO work in the code is related directly to the content which is all about tennis gloves. Did you see how that flowed logically from the link on the website right through to the Meta data and finally the content? This is exactly how Timmy is going to rank well. He’s providing the world with rich, relevant, properly optimized content. Logical. 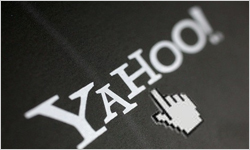 If there is no content then chances of your website ranking is next to zero. I had the experience of facing a client who had content with very little relevancy of the list of keywords they wanted to rank. Simply put, the keywords you need to rank for must be in your website.